On March 29th, 2019, the United States Food and Drug Administration (FDA) allowed the reintroduction of Zelnorm (tegaserod) for the treatment of Irritable Bowel Syndrome with constipation (IBS-C). Zelnorm will be given in a twice-daily dosage and is approved for the use in adult women under the age of 65.1,2 Currently, Zelnorm is the only selective serotonin (5-HT4) receptor agonist approved to treat IBS-C. Within the first four weeks of use, significantly more Zelnorm patients saw a reduction of their symptoms than patients on placebos in clinical trials. Patients who were on Zelnorm for four weeks also saw their frequency in bowel movements increase from an average of fewer than four movements a week to more than six movements per week. 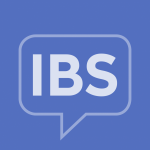 The safety and effectiveness of Zelnorm in men with IBS-C has not been tested. Though patients with Zelnorm should be monitored closely, this medication has been proven effective in treating patients with IBS-C and opens therapy options where there has been a gap in patient needs. FDA approves the reintroduction of Zelnorm™ (tegaserod) for Irritable Bowel Syndrome with Constipation (IBS-C) in women under 65. Prnewswire.com. https://www.prnewswire.com/news-releases/fda-approves-the-reintroduction-of-zelnorm-tegaserod-for-irritable-bowel-syndrome-with-constipation-ibs-c-in-women-under-65-300821611.html. Published 2019. Accessed April 7, 2019. Brooks M. FDA OKs Reintroduction of Tegaserod for IBS-C in Women Under 65. Medscape. https://www.medscape.com/viewarticle/911237. Published 2019. Accessed April 7, 2019.